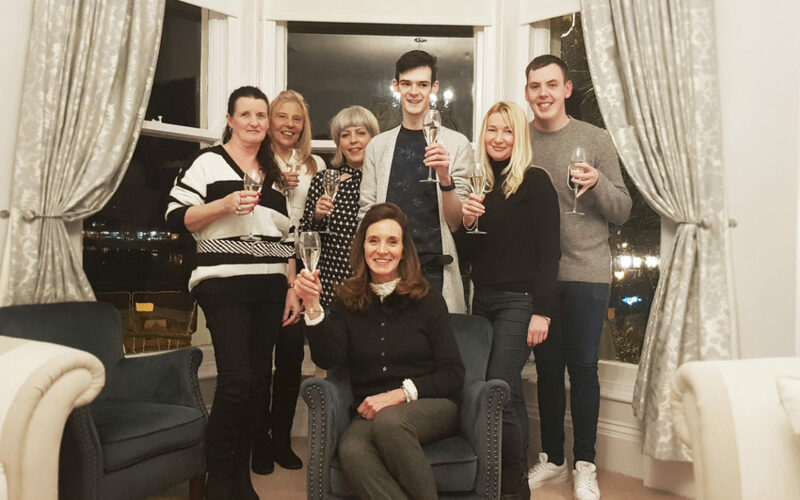 The four-star boutique ELM TREE HOTEL in Llandudno has scooped multiple awards in the TripAdvisor 2019 Travellers Choice Awards, and the Town’s only hotel to be ranked within the top 4 ‘in the UK’ across categories: Best Romantic Hotel #1, Best Small Hotel #2, Best Service Hotel #4 and Best Bargain Hotel #1. How did we do it? – Lynette Esposito, Proprietor of the Elm Tree says, “In Llandudno alone, we compete with over 60 small privately owned hotels and it is, therefore, essential to find your ‘niche’ in the market to differentiate yourself. The Elm Tree’s unique location provides privacy, magnificent views and easy access to entertainment, restaurants and tourist attractions. We’ve packaged all this into an experience for guests that offers an escape from day to day routine and pressures. As an adult only hotel, we’re able to provide specific attention to detail, highly personalised gestures and good quality comforts and luxuries. Our décor and ambiance are therefore set particularly to appeal to guests who look for these qualities and appreciate superior hospitality. What we recognise at The Elm Tree, is that ‘romance’ has no age limit or expiry date – guests of all ages want to celebrate special occasions and time together. I’ve been fortunate to host a couple who celebrated their 70th Wedding Anniversary, both in their nineties with the fondest memories of Llandudno……we have so many beautiful stories to tell like that and of guests from the ages of 30+ staying to propose for marriage or celebrating anniversaries or simply just wanting to enjoy some alone time. We go the extra mile to ensure we help create that special memory and every member of my team is passionate and committed to this ethos, I’m so incredibly proud of them. Most importantly, we owe this achievement to our wonderful guests who have taken the time to share their reviews on TripAdvisor and who keep coming back year after year – thank you”. This is the second year running the Elm Tree has achieved 4 awards within the Small Hotels Category competing with many top establishments in London, Wales and the rest of the UK. “I’m proud to be able to contribute to the outstanding tourism work done through various key organisations such as Llandudno Hospitality Association, North Wales Tourism, and Conwy Council – collectively they deserve recognition for their success in attracting ongoing tourism into Llandudno. The destination (Llandudno/Conwy) and region (North Wales), has established an enviable reputation within the UK and Internationally. Equally, I pay genuine respect to many Llandudno hospitality establishments who provide an outstanding service and experience to visitors” says Lynette Esposito, proprietor of The Elm Tree****. For the complete list of Travellers’ Choice award-winning hotels for 2019 across all nine categories, including the top hotels around the world, visit: www.TripAdvisor.com/TravelersChoice-Hotels.